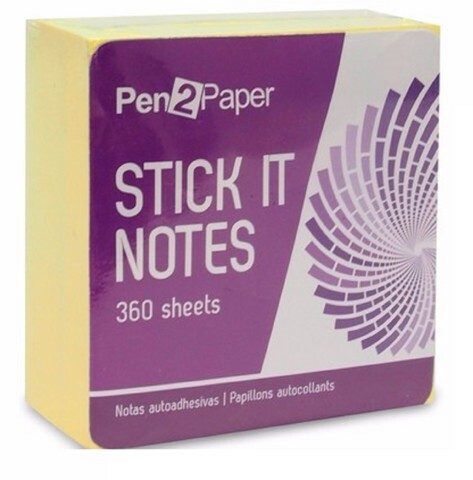 Stick It Notes Block 360 Sheets. 7.6 x 7.6cm Per Sheet. Yellow. Paper. 80G Packaging: Shrink Wrap with Colour Label.